My title is a reference to Barry Manilow's "I Write the Songs." I've mentioned it before but it cannot be stressed enough, when I was a child I loved Barry Manilow's music with a great passion. I'm currently reading Robert Hilburn's (my #1 favorite music journalist along with Sheffield and Klosterman who are #2 and #3) Johnny Cash bio. It discusses all of Johnny's earliest musical encounters and, of course, they are gospel country folk cool little tidbits of Americana. It occurred to me that any book about me that left out the early influence of Barry Manilow would be fiction. I was just so taken by "Copacabana." I balanced on the edge of the kitchen sink listening to our black tape player for, like, really long amounts of time. You people with iPods don't even know. Ellen lays atop her fluffy loft bed with the ability to conjure any song she's ever heard at her fingertips. The child me is filled with jealous hatred towards my children. 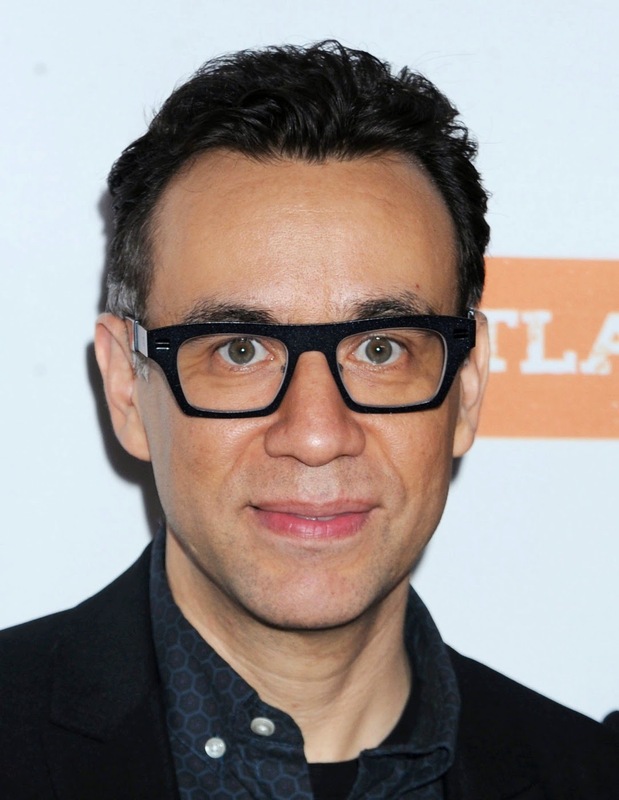 Fred Armisen will be Seth Meyers' band leader on late night. I love this. I love Fred so much. Do you? He's so talented and hilarious and a real weirdo. There is a skit on Portlandia where he's working at a hotel and a band comes in and he just makes this weird eye contact at them from behind the desk. He's hoping to convey that he gets them and he's into music too. I try to make that weird eye contact with people whenever I can. Walter White's Facebook moved me more than my own. It's totally true. But I hesitate to link because it has a swear word in it. You get the idea--No need to watch it. Comic Genius is a fun book. All the proceeds for buying it go to charity. I got it at the library but I'm still a good person. Some really good soundtracks. I don't usually like soundtracks. They're for lame-os who listen to Barry Manilow. Am I right? Here are some shows my sons like. And you can be sure they are awesome. Most of the things I write for Babble are! Or amazing! Or things you can't live without! Or won't believe! Google will calculate Bacon numbers for you. What did we do before Google? I know that I, personally, fell off the sink a lot. I joke that Babble sensationlizes my titles a lot but I am actually very grateful for the changes my editor makes. I need the help. I'm so bad at titles. Look at the title for this post. You probably didn't even click on it and are not even reading this part here at the end because the title didn't grab you so you'll never know how bad I am at titles. Except, you will. Anyway, another fun fact about editing: The only thing they ever change in my posts are the insults I hurl at Liam Hemsworth. I try to sneak in as many as I can but they almost always catch them. I just think he's really dumb, stupid, and ugly compared to his brother Chris who is a class act who is married to a lady with short hair and will soon father twins. Isn't he the guy to whom Elizabeth Moss was briefly married and she later made comments to the effect that he wasn't a very good husband? Oh well, I guess someone can be good at some things and not others. I wouldn't say I'm a huge Armisen fan, about I think it will be fun to have Seth Meyers and him on a show together. Although who am I kidding -- I can't stay awake past 9;30pm most nights so I will probably never see it. I disagree with one point: you are GOOD at titles. I love that the child you is filled with jealous rage at your children. So is MY child self with my own children. It helps me not feel so lonely. Also, I like imagining your child self listening to Barry for a little longer than might have been expected at that age. That image will make me laugh all day. 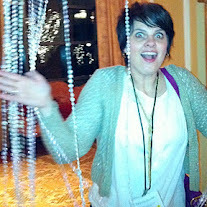 This is a GREAT roundup of awesome posts. I always think about the bad comments Fred's ex made about him, too. But I decided I don't like her and so I just like him more. I also like Chris Hemsworth because he's married to a short-haired lady. Although Liam was engaged to a short-haired lady... Maybe lady is stretching it? My friend and I listened to the radio for hours once just so we could press record on the tape player when a certain Stone Temple Pilots song came on that we were desperate to have. A desperation my iPod-wielding son will never know, as he listens to "What Does the Fox Say" for the 50th time in a row. i dislike elizabeth moss so i was glad when she and fred divorced, as glad as you can be about someone's divorce. and i was really glad when liam and miley split because they saved me from being glad about divorce. I tried to leave a comment on Babble, but I felt it was pressuring me to use my Facebook, so I gave up, which isn't like me. What I wanted to say was: that Inside Llewyn Davis soundtrack is haunting me hard. I love it. I am going to have to have a listen to the Dallas Buyer's Club soundtrack now--I loved the movie, but maybe so much that I forgot to notice that the music was awesome. I know the song "I write the songs" by Barry Manilow, that's why when I read the title of your blog it caught my attention and make me smile, that's why I guess you're also good in title.